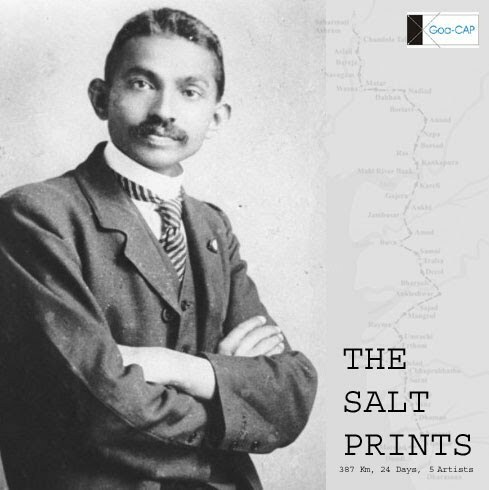 Digital Revolution and Mahatma Gandhi – A comparison of Salt March and Alternative Processes in Photography. This July, I will be participating in THE SALT PRINTS photo walk. It is a contemporary artists’ march with the aim to retrace the historical “Dandi March – the 387 km walk from Sabarmati to Dandi”, which launched the history’s greatest nonviolent battle, the civil disobedience campaign, headed by the father of the nation, the great Mahatma Gandhi, in 1930. I have always been intrigued by the monumental role played by Mahatma gandhi in India’s freedom struggle.